We’re getting close to settling a few matters in Spain, Barcelona have one hand on the title, the top four are settled, and the bottom three are drifting away. Nothing’s finalised yet and Depor fans in particular will be watching betting odds on their survival. Eight points from safety with seven league football games left is a tall order, but not impossible. The race for sixth place is hotting up though. Villarreal currently occupies a guaranteed Europa place but for how long? 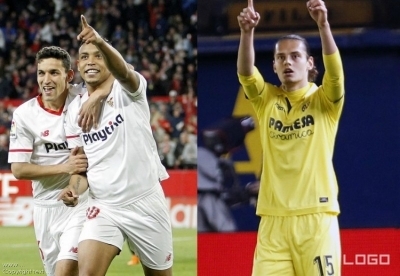 Sevilla can leapfrog the Yellow Submarine with a win when they clash on Saturday. But they have a hungry chasing pack on their heels, ready to pounce if they suffer a Champions League hangover. Girona lead that group in eighth, and can steal a march when they open the weekend’s programme at home to Real Betis. European football would be a real statement of intent for moneybags Girona, but Betis are up in fifth after four wins, with Sergio Leon bagging his 11th goal of the season last week. Seventh plays sixth at the Ramon Sanchez Pizjuan; and Vincenzo Montella’s hosts will fancy their chances. Javier Calleja’s Yellow Submarine is in danger of sinking, the former player and Villarreal hero needs to galvanise his team quickly after a lacklustre display at home to Athletic Bilbao on Monday. A likely home win is 1.87, with Villarreal at 3.95 and 3.50 the draw. Could this be an opportunity for Valencia to hang on to third place, with Barca possibly still shell-shocked following a disastrous Champions League exit to Roma? The visitors have won their last five and have a potent threat in the trio of Simone Zaza, Rodrigo and Santi Mina. But hey, Barca are at 1.81 with a -1.50 goal handicap, Valencia is 2.13 with that start. Las Palmas are two points further back in 19th, ten from safety, so it looks like those sunny visits to Gran Canaria will be off for a year at least. Real Sociedad look in the mood to make the most of their trip though, after thumping Girona 5-0 last week. Ninth-placed Celta Vigo are just four points behind a Europa berth, but away form has been poor with four defeats and a draw in the last five. Leganes are pretty much guaranteed a third season at the top table, but will do well to stop 19 goal Iago Aspas, who scored a hat-trick against Sevilla last week. If Depor are relegated the vultures will be circling ready to pick off their best talent, including Florin Andone. Defeat in Bilbao would be a hammer blow, and their hosts have their tails up following a surprisingly easy win in Villarreal. Eibar’s season is in danger of fizzling out after staying in the Europa hunt for much of it. Two points from five games leaves the hosts seven points adrift of Europa in tenth, while 16th-placed Alaves are pretty much guaranteed survival with victory over Getafe last week. If, as expected, Barca beat Valencia, then Atletico can cement second place with victory over 17th-placed Levante. Paco Lopez’ visitors are making a great attempt at survival with 11 points from five games, but stopping 18-goal Antoine Griezmann would be some achievement! That result left Pepe Bordalas’ Getafe in 11th and sliding out of Europa contention, after back-to-back defeats. Meanwhile, Espanyol are in no danger of relegation, or European qualification for that matter. The visitors have lost three and drawn three of the last six on the road. They are at 3.45 to buck that trend, with Getafe at 2.17 and the 3.10 the draw. Real Madrid can climb above Valencia into third, assuming they can overcome rock bottom Malaga. The hosts are doomed on 17 points, but did win in their last home game against Villarreal. But Los Blancos are visibly shifting through the gears as the Champions League comes to a climax and the form of Cristiano Ronaldo is scintillating. Click for more football betting options.